It’s definitely hit or miss for the Iowa Cubs in the early going as they were only able to register eight hits, and two runs in a 3-2 loss this afternoon. That would have been just fine if the Cubs bullpen could have closed the door late, but poor command did them in, as it usually does late in ballgames. The Cubs got a great effort from starter Donn Roach, but couldn’t cash in when they needed to as they were 2-for-10 with runners in scoring position. John Andreoli had another nice game, he was 1-for-4 with a double, and a walk. Chris Valaika snapped out of a funk today, he was 2-for-4 with a double, his second of the season. Jonathan Mota has been red-hot as of late, he continued that today, he was 2-for-4 with an RBI, he’s now hitting .462 on the season. 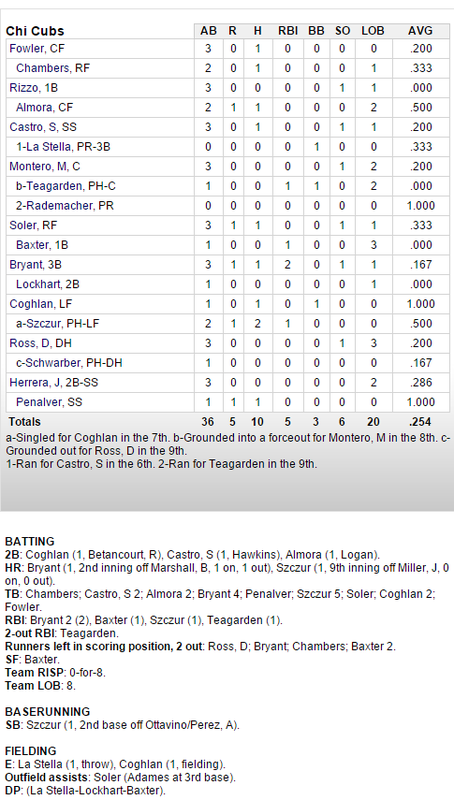 Adron Chambers, and Addison Russell each had one hit in the loss. Donn Roach deserved better today, he was brilliant. Roach worked six scoreless innings, giving up one hit while striking out three. Blake Cooper was just okay out of the pen, he worked 1.2 innings, giving up one run on two hits, but did pick up a hold. Blake Parker had nothing today, he worked 1.1 innings, giving up one run on one hit while walking three(!). Drake Britton took the loss in this one, he worked two-thirds of an inning, giving up one run on two hits while walking one. Well, that didn’t go so well. The South Bend Cubs didn’t have much of an opportunity in this one as they trailed 9-0 by the third inning en route to a 10-7 loss. It was nice to see the Cubs make a come back in this one, but there isn’t much you can do when you are chasing that many. Jake Stinnett just didn’t have anything tonight, he couldn’t find the plate, and the Cubs made three errors behind him, that’s a recipe for disaster. Trey Martin has been doing a pretty solid job at the top of the South Bend lineup, he was 2-for-5 with a double, an RBI, and a run scored. He also had an outfield assist. Gioskar Amaya went 2-for-3 with a double, and a run scored in the loss. Cael Brockmeyer continued the doubles binge that he is one, he went 2-for-4 with a walk, his sixth double of the season, an RBI, and a run scored. Chesny Young had a solid game, he was 2-for-5 with an RBI, and a run scored. Jake Stinnett got the start and as I said, struggled with his command. He worked 2.1 innings, giving up eight runs, five earned, on three hits while walking seven (see? ), and striking out two. Jasvir Rakkar came on in long relief and did a nice job, he worked 3.2 innings, giving up two runs, one earned, on four hits while striking out four. David Bote, the infielder, saved the bullpen from further work in this one, he worked two scoreless innings, giving up three hits, while striking out two, go figure. Both Tennessee, and Myrtle Beach were postponed. 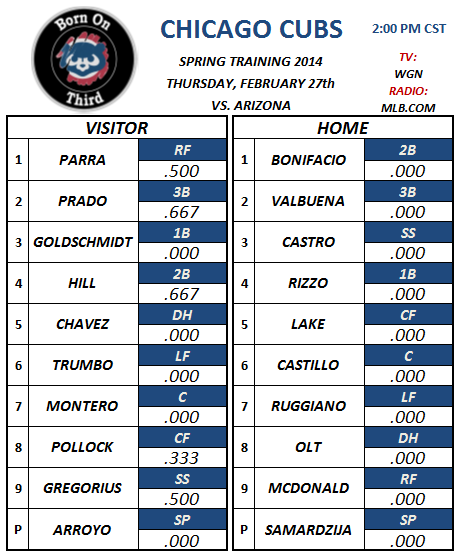 An odd scheduling quirk as the SB Cubs open a series with Dayton on a Sunday, minor league baseball at it’s finest. The Cubs jumped out to a quick three run lead in the third, and by the time the inning was over the game was tied at three. The SB Cubs pitching held Dayton down the rest of the game allowing the bats to wake up and score five times en route to a 8-3 win. Gleyber Torres is hitting his stride, he went 2-for-4 with a walk, two RBI’s, a stolen base, and a run scored. Jason Volser was all over the place, he went 3-for-5 with two runs scored, and a stolen base. Rashad Crawford had a solid game from the nine spot, he went 2-for-2 with two walks, three RBI’s, and three runs scored. Zach Hedges got the start and picked up the win, he worked five innings, giving up three runs, two earned, while walking one, and striking out two. Jasvir Rakkar was good once again, he worked two scoreless innings, surrendering zero hits while walking one, and striking out three. James Norwood was outstanding as well, he worked a scoreless inning, giving up two hits while striking out two. Tommy Thorpe closed things out, he worked a scoreless inning, surrendering zero hits, while walking one, and striking out one. One night after a thrilling comeback win, the Pelicans couldn’t find any offense as they could only muster three hits in a shutout loss. The Pelican pitching was solid, but that doesn’t mean much if you can’t score. Chris Denorfia, who is rehabbing from an injury, went 1-for-2 with a double. Mark Zagunis was out in right field today, he went 1-for-4 in the loss. Jeimer Candelario was 1-for-3 tonight, he’s now hitting .250 on the season. Tyler Skulina got the start, and was outstanding, he worked five innings, giving up one run on three hits while walking three, and striking out five. James Pugliese had a rough go of it, he worked two innings, giving up two runs on four hits while striking out one. Matt Brazis had a similar effort, he worked two innings, giving up two run on three hits while walking one, and striking out three. The Smokies made some noise early on, then couldn’t push anymore runs across the plate the rest of the game. By the second inning it was 6-1 Smokies then that was it as far as scoring runs goes. The Braves were able to score once in the 4th, and once in the 9th to make it close but they still fell to the Smokies 6-3. Elliot Soto got things done at the top of the order tonight, he was 2-for-6 with a run scored. Albert Almora had another solid game, he was 2-for-5 with a walk, a double, and two runs scored. Christian Villanueva had a productive day, he was 2-for-5 with three RBI’s, and a run scored. Dan Vogelbach continued his hot start today, he went 3-for-5 with two doubles, two RBI’s, and a run scored. Rob Zastryzny got the start, he worked 3.1 innings giving up two runs, one earned on three hits while walking three, and striking out five. Unfortunately he was hit by a batted ball in the foot and had to leave the game. Stephen Perakslis was outstanding, he worked 1.2 scoreless innings, giving up one hit while walking one. Michael Jensen was solid today, he worked two scoreless innings, giving up two hits while walking one, and sriking out one. Hunter Cervenka struggled in this one, he worked 1.2 innings, giving up one run on one hit while walking two, and striking out two. Andres Santiago earned the save by retiring one hitter, he worked a third of an inning, while walking one. Another outstanding effort from the Iowa Cubs today as they pounded Memphis 7-2 to earn a series split. The long ball was on display all day as Addison Russell, Kris Bryant, and Jonathan Mota all went deep, dingers! The Cubs pitching held their own and it was smooth sailing the rest of the way. John Andreoli did his job at the top of the order today, he went 1-for-3 with two walks, a double, and a run scored. Addison Russell is on fire right now, he hit 3-for-5 with a dinger, two RBI’s, and two runs scored. He’s now hitting .389 on the season. Kris Bryant did it again, he was 1-for-4 with his second homer in as many days, three RBI’s, and a run scored. Jonathan Mota had a huge day, he went 3-for-4 with a homer, an RBI, and two runs scored. Adron Chambers had another solid game, he went 2-for-3 with a walk, an RBI, and a double. Barret Loux got the start for Iowa and was erratic for the most part, he worked 3.2 innings, giving up two runs on four hits while walking three, and striking out three. Drake Britton was brilliant today, and picked up the win, he worked 2.1 scoreless innings, surrendering zero hits while walking one. Zac Rosscup, Armando Rivero, and Blake Parker all worked a scoreless inning in relief to close out the Redbirds. The South Bend Cubs moved to 2-0 on the young season tonight as 2014 15th round draft pick Jeremy Null was brilliant. Null got the start and worked five scoreless innings, giving up just two hits while striking out seven, not a single walk. That was more than enough for the SB Cubs offense as they pounded out ten hits en route to a 7-4 victory over Bowling Green. Trey Martin provided the production from the top of the order in this one, he was 1-for-5 with three RBI’s, and a run scored. Chesny Young has had a good start to the season, he went 2-for-4 with an RBI in the victory. Jeffrey Baez was solid yet again tonight, he went 2-for-4, and is now hitting .375 on the season. Jesse Hodges and the bottom of the order were noticeable in this one, Hodges went 2-for-4 with a double, and a run scored. Charcer Burks, and Rashad Crawford each had a hit, and a walk in the eight and ninth spots respectively. The pen didn’t fair as well as Null in this one, Jasvir Rakkar worked two innings, giving up two runs, one earned on five hits while striking out one. Tommy Thorpe closed things down, he worked two innings, giving up two runs on three hits while walking one, and striking out three. Not a whole lot went right for the Pelicans tonight as they fell behind Wilmington 6-0 in the fourth on their way to an 8-3 loss. If was a rough night on the mound for Pelicans starter Daury Torrez, he could only get through 4.2 innings as he picked up his first loss of the season. Jacob Hannemann is doing good things early on, he was 2-for-5 with a double, an RBI, and a stolen base. Ben Carhart had a solid 2015 debut, he went 1-for-3 with a double, and two runs scored. Mark Zagunis has been impressive, he was solid in the loss tonight, he went 1-for-4 with a walk, and a stolen base. Daury Torrez got knocked around in this one, he worked 4.2 innings, giving up six runs on seven hits while walking one, and striking out five. I’m excited about Josh Conway, he just didn’t have it tonight, he went 1.1 innings, giving up two runs on three hits while walking one, and striking out one. Gerardo Concepcion is on the comeback trail, he was great tonight, he worked two scoreless innings, giving up no hits while walking one, and striking out two. Tayler Scott finished this one off, he worked one scoreless inning, giving up one hit while striking out two. A weird one in Mississippi as the Smokies jumped out to a 5-0 lead only to see it vanish in an 8-7 loss. The Smokies attempted to mount a comeback in the 8th, but could only close the gap to one run. A tough night for the Smokies pitchers as the Braves worked six walks, and registered nine hits. Pin-Chieh Chen provided some production at the top, he was 1-for-4 with a walk, and two RBI’s. Bijan Rademacher is red-hot, he went 3-for-5 with a double, and three RBI’s. Dan Vogelbach had a solid game, he finished the night 1-for-3 with two walks. Willson Contreras smacked the ball all over tonight, he was 3-for-5 in the loss. Stephen Bruno came off the bench to have a good game, he went 2-for-2 with a run scored. Ivan Pineyro got the start and struggled with command, he worked four innings, giving up three runs on three hits while walking three, and striking out four. Andres Santiago wasn’t much better, and was hung with the loss, he worked just two-thirds of an inning, giving up three runs on three hits while walking two, and striking out one. Michael Jensen was the lone bright spot tonight, he worked 1.1 scoreless innings, surrendering no hits while walking one, and striking out three. Fernando Cruz was roughed up as well, he worked two innings, giving up two runs on three hits while striking out three. It hasn’t been the start that the Iowa Cubs, and Cubs fans were expecting. For the second straight night the Memphis Redbirds took it to Iowa, it was especially bad tonight as Iowa trailed 7-0 after two. Some of the big league club’s struggles are rubbing off on Iowa as they can’t seem to find any offense yet. Junior Lake is displaying his new approach, he was 1-for-3 with a walk in the loss. Addison Russell is one guy that is swinging it well, he went 1-for-4 with a double, he’s hitting .375 so far this season. Chris Valaika, Mike Baxter, and Jonathan Mota were the only other I-Cubs to register a base hit, one each. Carlos Pimentel didn’t have it tonight, he worked 3.2 innings, giving up seven runs, five earned while walking four, and striking out five. Jeffry Antigua was okay out of the pen, he worked 2.1 innings, giving up one run on two hits while walking one, and striking out two. Zac Rosscup, and Blake Parker were able to stop the bleeding as each guy worked a scoreless inning. The Cubs fell behind almost immediately as Jason Hammel did not have his best stuff, he allowed the first two men to reach base then gave up a loud three run homer to Nolan Arenado, just like that it was 3-0. A lead that the Cubs would not threaten until late, and even then they came up short. Things got much better for us in the second inning as Jorge Soler ripped a single then went along for the ride on Braynt’s absolute bomb. The only bright spot from the Cubs was Matt Szczur he made things happen, he went 2-for-2, with a run scored, a stolen base, and a dinger. The bats were making noise in the early going, but the production, and the lead disappeared in this one, as Daytona dropped a close one to Brevard County, 5-4. Albert Almora is settling into a grove after starting the season slowly, he was 1-for-4 with a run scored in this one, and is now hitting .316 on the season. Dan Vogelbach is still sluggish with the bat, but had a decent game tonight, he went 1-for-3 with a walk. One guy who has been locked in at the plate is Jeimer Candelario, he was 2-for-4 with a triple, an RBI, a run scored, and committed two errors (oops). The man with the “best name in the minors” had a solid game, Rock Shoulders was 2-for-4 with a double, two RBI’s, and a run scored. Exciting night for the Cubs organization as Rob Zastryznyy made his Daytona debut tonight, and had moments of brilliance in the no decision. Zastryzny worked four innings, giving up four runs on six hits, while walking two, and striking out six. The D-Cubs bullpen was solid once again in this one as the quartet of Yao-Lin Wang, Zach Cates, Arodys Vizcaino, and Austin Reed combined to work five innings only yielding one unearned run which proved to be the difference tonight. Another light night at the dish for the Smokies as they fell to Pensacola for the fourth time in five games, 3-2. Dustin Geiger has had a solid start to 2014, especially in the power department, Geiger was 2-for-4 with his second home run of the season, an RBI, and a run scored. Jeudy Valdez was the only other Tennessee player to make a difference with the bat, he went 2-for-3 with a double, and an RBI in the loss. It wasn’t a bad night at all for Tennessee pitching, especially out of the bullpen, still not good enough for a win. Matt Loosen got the start tonight, he worked five innings, giving up three runs on six hits, while walking three and striking out two. Ryan Searle, Hunter Cervenka, and Tony Zych combined to toss three scoreless, hit-less innings out of the pen, they didn’t even walk anyone, and struck out five. 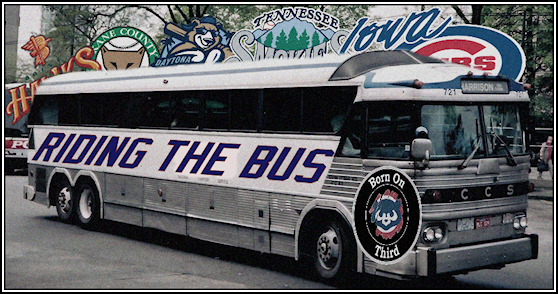 Not a whole lot going on for the Iowa hitters, but they made the most of their opportunities and beat Nashville 4-1. Brett Jackson, who has had a rough start to the season, had a tremendous game. B-Jax was 2-for-2 with a triple, an RBI, a run scored, and a stolen base. As a team, the Iowa Cubs had four stolen bases in this one, saw an opportunity and exploited it. Christian Villanueva had the big hit in this one, he was 1-for-4 with his first home run of the season, three RBI’s, and a run scored. All sorts of good things from the Iowa Cubs staff tonight. Tsuyoshi Wada started tonight, and took home the win, he worked 6.2 innings, giving up one run on three hits, while walking one, and striking out eight. Working as the setup man, Neil Ramirez worked 1.1 scoreless innings, he didn’t walk anyone, and struck out two. Blake Parker worked the ninth for the save, he flirted with danger but got the job done, he worked a scoreless inning, giving up two hits, and striking out two. Still not much going on for the Daytona offense in game two, but it was nice to see them come back from a 3-0 deficit to force extra innings. Pin-Chieh Chen had a solid game from the lead-off spot, going 3-for-5 with a double, and RBI, and a run scored. The middle of the order came up empty again tonight, but the bottom of the order was productive. Bijan Rademacher was 2-for-4 with a double, run scored, and was caught stealing. For the second straight game Gioskar Amaya was solid, he went 1-for-3 with a walk, and a run scored. Jose Rosario got the start for Daytona, and struggled with his command for most of the night. Rosario worked four innings, giving up three runs on five hits, while walking three, and striking out five. Michael Jensen, and Andrew McKirahan each worked two scoreless innings out of the pen to get the game into extra innings. Austin Reed took the loss for Daytona, he worked two innings, giving up one run on one hit, while walking one, and striking out three. Not a lot of offense in this one, but just enough for the Smokies to win their first game of the season. It was Kris Bryant once again, Bryant went 1-for-4 with his second home run of the season, an RBI, and a run scored. Dustin Geiger was able to get his first hit of the season, he went 1-for-4 with a single in the win. The other big news of the night was C.J. Edwards making his double A debut, and he didn’t disappoint. Edwards worked four scoreless innings giving up one hit, while walking one, and striking out four, outstanding. The rest of the Smokies staff was untouchable as well, P.J. Francescon took over for Edwards and took home the win. Francescon worked three scoreless innings giving up two hits while walking one, and striking out two. Armando Rivero was just about perfect in the late innings of this one, as he earned his first save of the season, Rivero worked two scoreless innings giving up one hit, while striking out four. The Iowa Cubs are mirroring the big league club with the bats, and that’s not a good thing, they came up empty in a 9-0 loss to Memphis tonight. Matt Szczur lead-off for Iowa and was 2-for-3 with a double, a walk, and a stolen base. That was it, Iowa only had two hits in the loss, they did draw five walks but were 0-for-6 with runners in scoring position. Three bad innings, that’s all it took tonight as Memphis scored once in the fourth, three times in the fifth, and five times in the sixth. Carlos Pimentel got the start for Iowa, and also took the loss, he worked five innings, giving up four runs on five hits, while striking out six. Jonathan Sanchez was much worse, he worked two-thirds of an inning, giving up five runs on one hit (ONE HIT), while walking three, and striking out three. Marcos Mateo, Blake Parker, and Zac Rosscup all had scoreless appearances out of the pen, but it was too little too late.